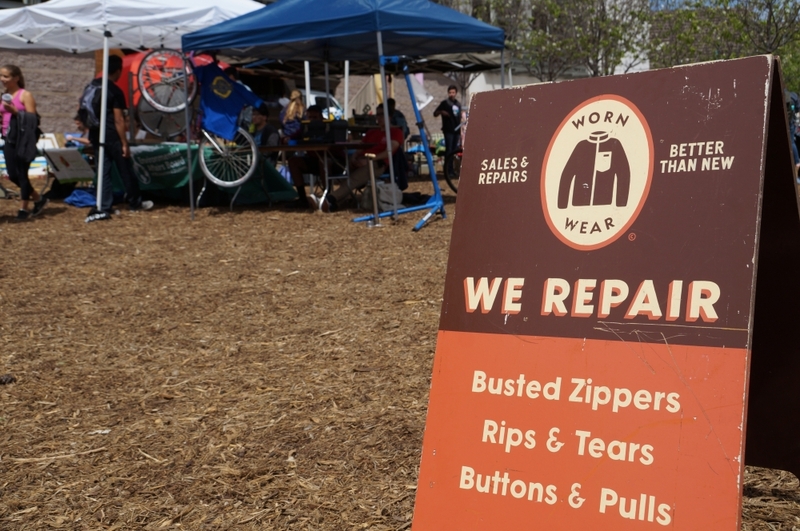 The Patagonia Worn Wear Wagon made a stop at the UCSB Zero Waste Festival. 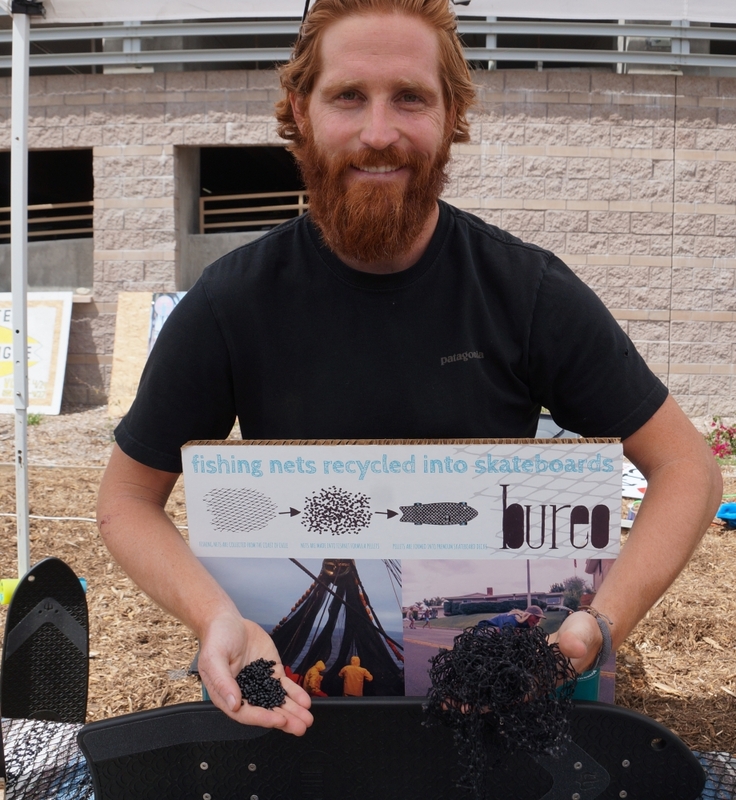 The UCSB Zero Waste Festival highlighted unique efforts to reduce waste, such as discarded fishing nets being used to make skateboards. 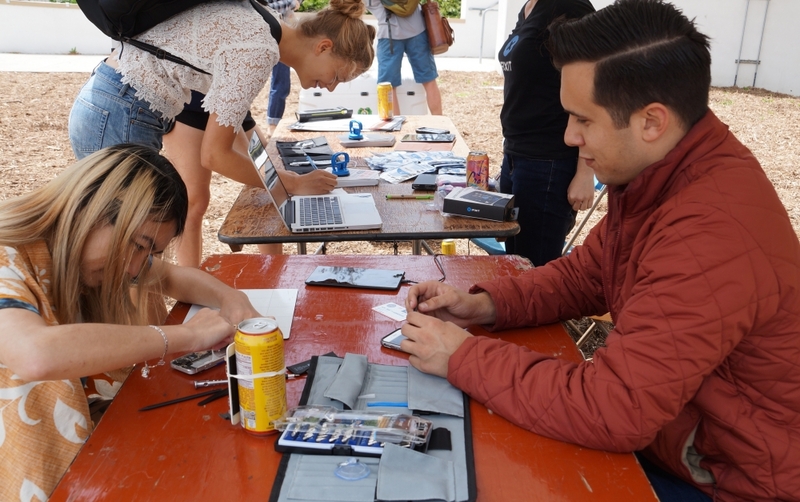 An electronics repair station at the UCSB Zero Waste Festival encourages students to fix their phones and other devices rather than toss them out. Bring your own coffee mug to the cafe. Keep a reusable water bottle in your bag. Do not put your napkins, paper towels or tissues in the recycling bin. Wait, what? When it comes to reducing waste, some practices are borderline ubiquitous, while others remain murky — if not straight-up counterintuitive. How many people know, for instance, that not all paper products are recyclable? Not nearly enough. Aiming to educate its campus community about such intricacies, UC Santa Barbara, as have all UCs, has launched an awareness campaign to help publicize an impressive end goal: eliminating waste altogether. Dubbed #MyLastTrash, the push to communicate the need to reduce waste — and how best to do it — is part of the University of California’s effort to achieve zero waste by 2020. The monthly events go a long way toward engaging a broader cross-section of the UCSB community. 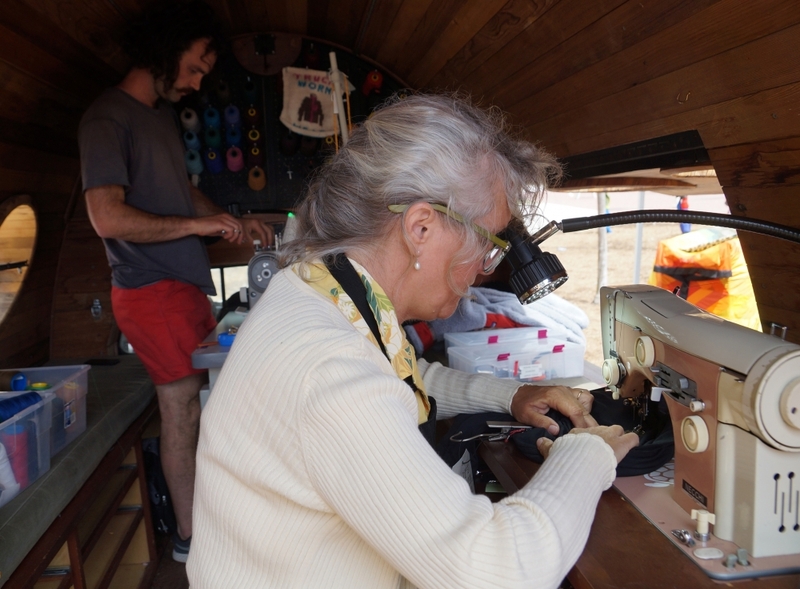 Prime example: The recent “Zero Waste Festival,” a day full of films, art, music, food, presentations and panel discussions, and an appearance by Patagonia’s mobile clothing repair shop, the Worn Wear Wagon. It was all intended to command attention to an environmental issue often overshadowed by other concerns. Systemwide, UC already is diverting from landfills approximately 64 percent of its solid waste. Zero waste programs exist on all UC campuses, and some zero waste initiatives have become standard practice. Efforts targeting the largest sources of waste, such as major events and building construction and demolition, are increasingly common. UCSB holds its annual, highly successful zero waste weekend every spring at Harder Stadium. But getting to zero waste overall will require not just major coordination, but also widespread cooperation. Which is why effective and sustained communication is so key, according to student Rachel Shen, an intern with UCSB’s Refuse & Recycling Research Center. “I used to recycle brown napkins all the time until I learned in a waste management class that those napkins actually cannot be recycled,” said Shen, a fourth-year environmental studies major. “The same thing is happening on campus every day and I often see people put compostable waste into the recycle bin. There simply is not enough information to educate people about proper waste handling. This campaign is meant to increase awareness and shrink that information gap.